I have always had a lot of respect for people who get together and build large antennas and share them with other radio fans. 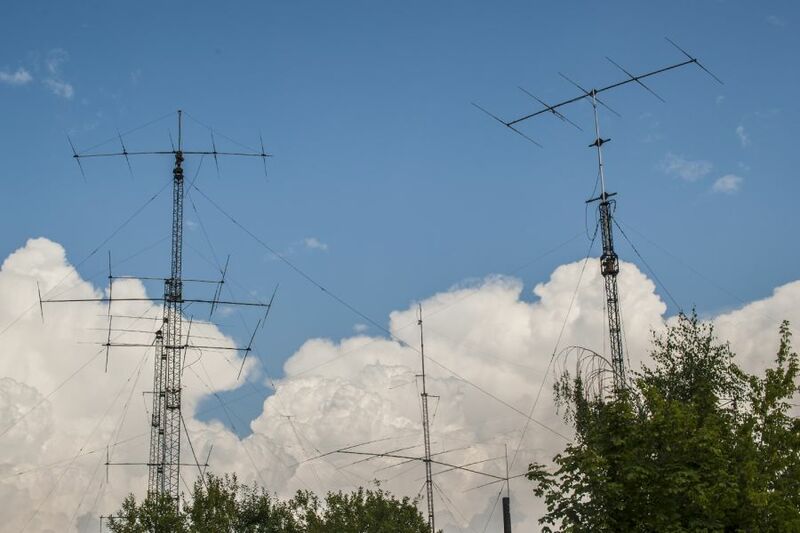 The spirit of collective Amateur Radio was spread all over Eastern Europe in the 50s and 60s of the previous century. There were logistic reasons for such trends. Radio was considered sensitive and it was easier to supervise a group of people in one place rather than many individuals. The radio equipment was available almost exclusively from military sources, quite heavy and bulky. The quantities of surplus radio gear were limited, not everyone interested could get it. The number of curious young people interested in radio was large due to physical isolation of the peoples in this part of the world. The radio club at the Kaunas Polytechnic Institute, as it was called then, was set up in the end of the1950s. The first call sign assigned to the club was UP2KNP. Lithuania was then one of the republics of the Soviet Union. Within a few years the team grew strong and successfully competed in national and international contests. In 1960 an association for radiosport, called LRSF — Lithuanian Radio Sport Federation — was created, which indicates the importance and popularity of radio contesting. In 1964 the club station UP2KNP won the USSR Championship. Two years later they staged the first contest expedition to Georgia in Caucasus. 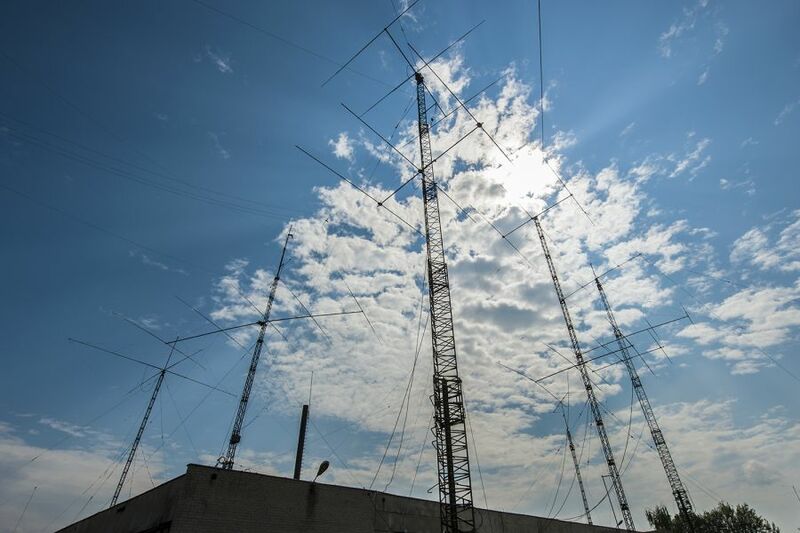 Some of the people engaged in this event still do not believe that it actually took place — so much human toil laid down and many bureaucratic procedures overcome pursuing the goal, which was the winning of CQ WW Contest in the world in Multi-Single category. The equipment they used and transported then was quite different to what Don Miller or Gus Brown carried in their suitcases. The person who was both inspiring and diligent on the team of UP2KNP was Algis, UP2NK. I met Algis once some 15 years ago and he is nowadays LY2NK. In 2001 he was honoured by the international contesting community and placed in the CQ Contest Hall of Fame. 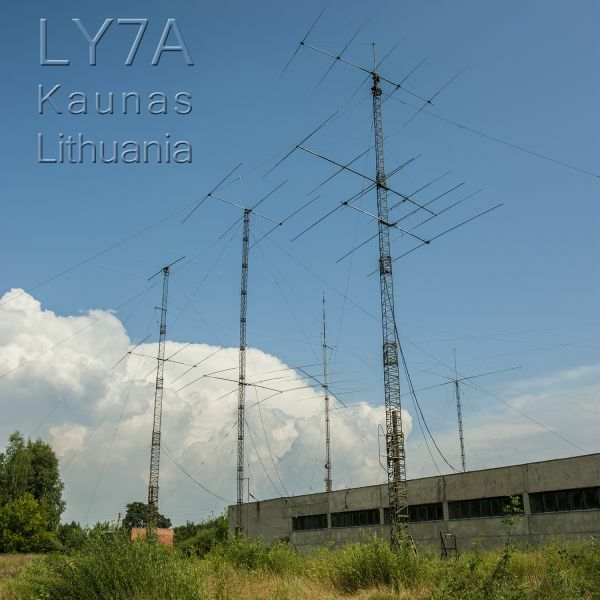 Before my recent visit to Lithuania I tried to get in touch with the LY7A operators. I sent several e-mails to the club members. 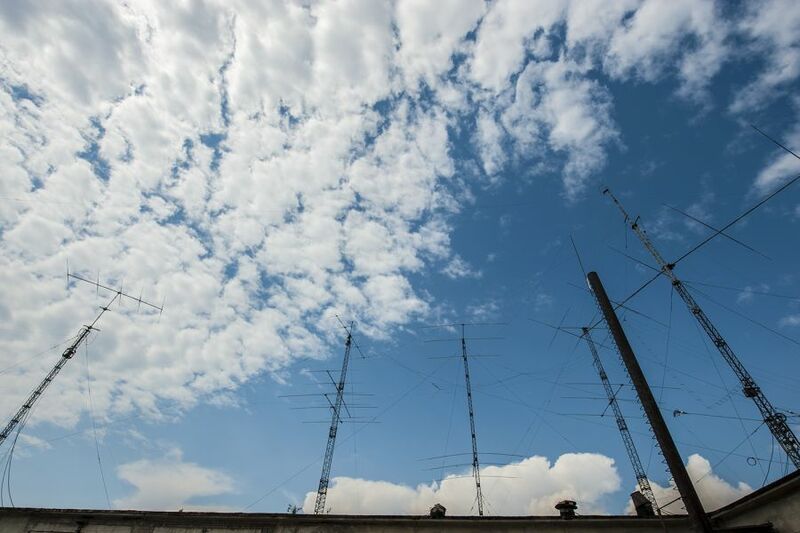 Unfortunately, all my attempts were ignored, so I could not visit the station, but at least I could take a look at the impressive array of towers and monoband Yagi antennas. This is an accumulated result of many years of hard work by many members of the club. The secret of such long-lasting tradition is most likely accepting in the group only members who honestly want to learn, work and share the fruits. Fifty years after their spectacular triumph in CQ WW as 4L7A, the group still appears on top in the results of the most important contests. I myself was engaged in two similar club projects in the past. 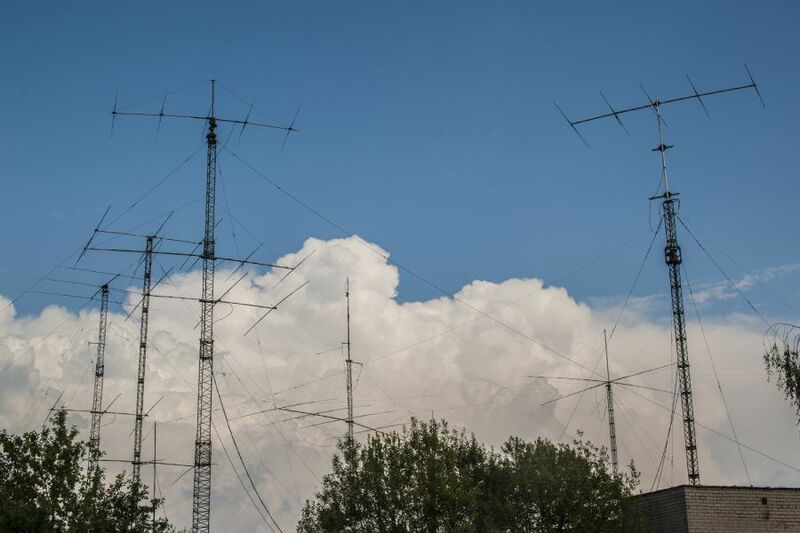 In early 70s I spent many hours building large antennas and participating in contests at the largest club in Warsaw, Poland. In 1974 we had the best and largest antennas in the country. Then some people decided to take control, but without sincere enthusiasm and with only scarce comprehension of how things work, the station decayed and nothing is left. Twenty years later I spent countless hours building antennas and trying to attract other people into activity at a radio club near Stockholm, Sweden. When the antenna farm was completed, some ambitious but incompetent people took over and even expelled me from the organization. As far as I know, the activities there have been superficial since then. 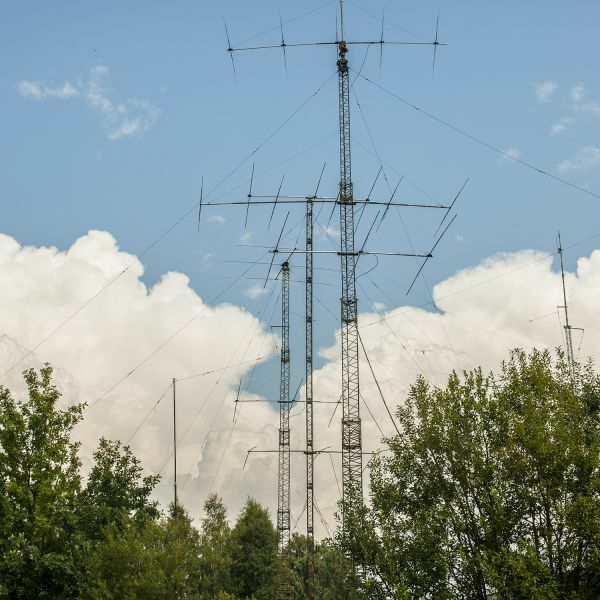 LY7A is not the only successful contest club station in Lithuania. In the past different call signs have been assigned to the club: UP2KNP, UK2PAF, UK2PCR, LY1BZO, LY2ZO. 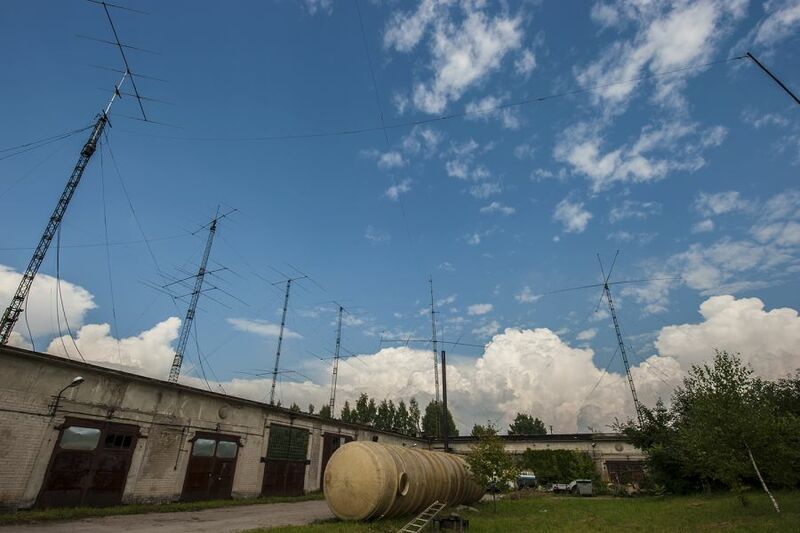 The call LY2ZO is still used from the University building, while the contest site is in the outskirts of Kaunas. Kaunas is not the capital city of the country, but it seems to be the contesting capital city of Lithuania. It is the centre of education and trade in this small Baltic country. 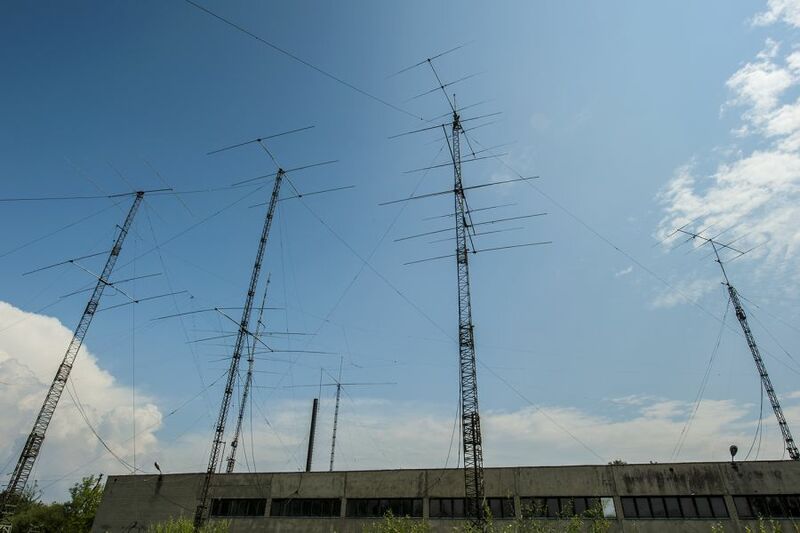 Now, let’s take a look at the impressive antenna farm of LY7A. 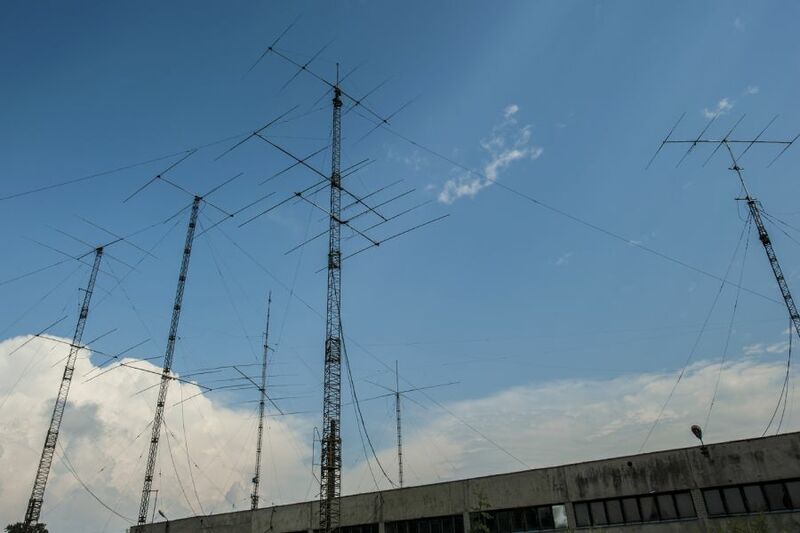 All antennas are home-made, some are rotary, but most of them are fixed since switching antennas is preferred in contests. Next time you hear the strong signals of LY7A, you will know where they come from. I don't think the HOA would approve of the antennas! Very impressive. These well designed high power stations make it possible for us that can't get something more than a dipole up 10 meters high to still make a contact. Thanks! 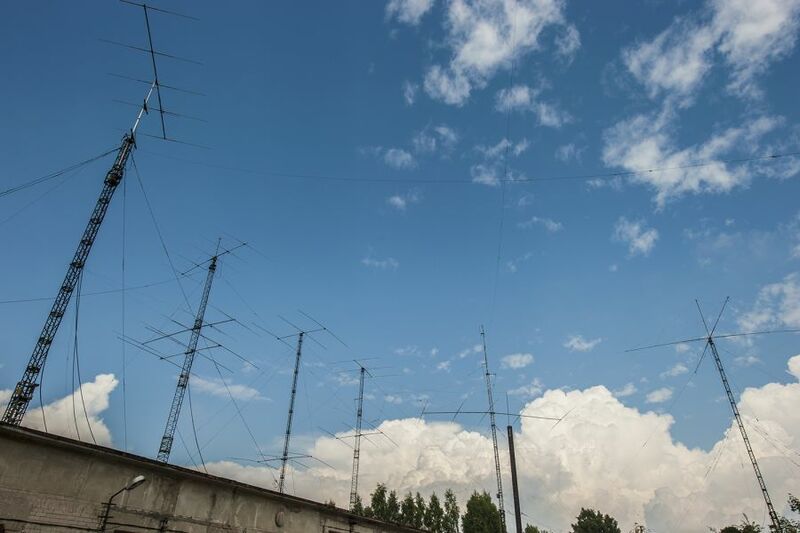 Excellent field of antennas, and very good disposition thereof, always come with very strong signals to South America. Interesting article as always Henryk! Remember UK2PAF from early contesting period of my life (1981-1989), and have had an opportunity to meet several of the operators from that time. Great guys and I hope next time you will be able to connect to some of them. great antenna farm. Always a big signal.